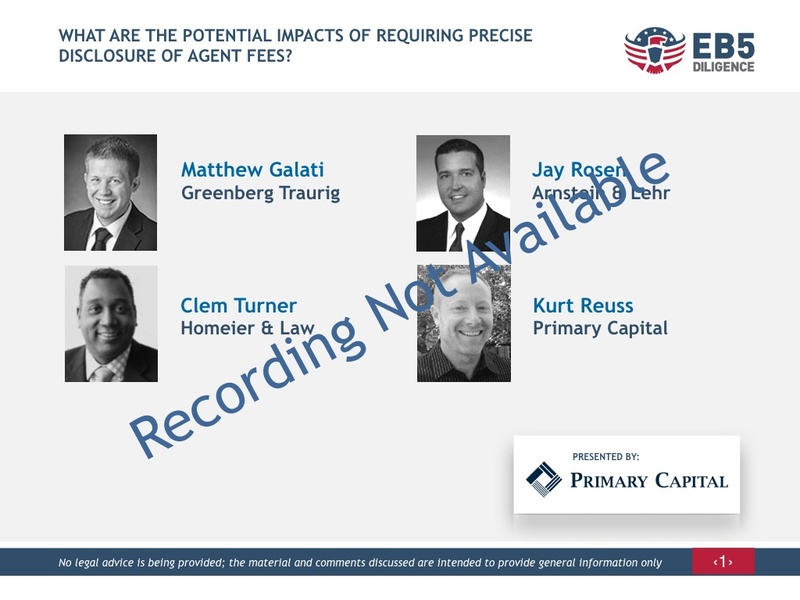 What Are The Potential Impacts of Requiring Precise Disclosure of Agent Fees? The Integrity Act of 2016 would require foreign agents to register with USCIS. While there may be some flexibility on this issue, it is very likely that EB-5 investors will be required to acknowledge the precise compensation amounts paid to agents. In fact, it is a reasonable argument that this is already an SEC requirement on EB-5 issuers.